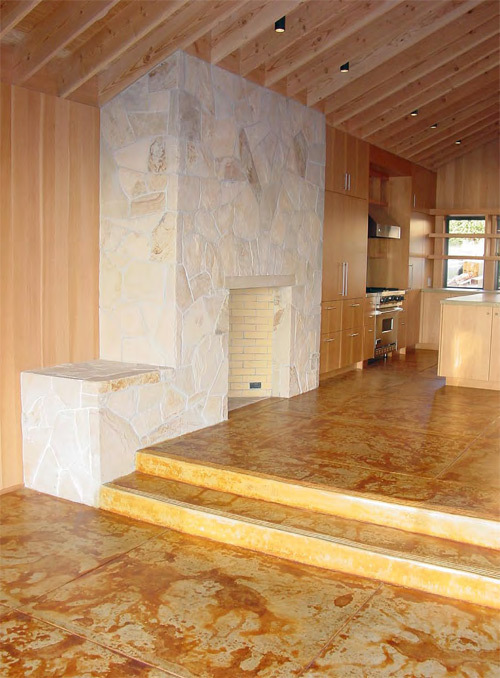 Bay Area Concretes Inc. isn't just the company behind a laundry list of impressive decorative concrete projects around California. 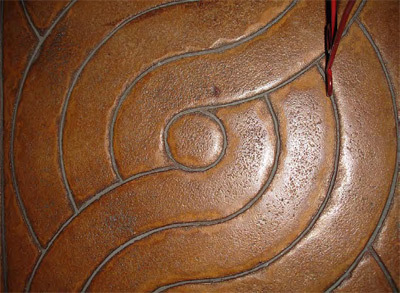 As the second contractor to carry Bomanite's stamped concrete products, it claims a piece of decorative concrete history. Company president Michael Price, 44, grew up in the industry and has dedicated his career to beautifying commercial and residential spaces with innovative decorative concrete products and installation techniques - and he plans to continue leading the way. Founded in 1966 by Price's uncle, Jim Snyder Sr., Bay Area Concretes began as a family-owned lightweight concrete company that installed concrete slabs around San Francisco. In 1970, Price's father, Gary, came on board - the same year the company began offering products manufactured by Bomanite, the originator of colored and imprinted architectural concrete. 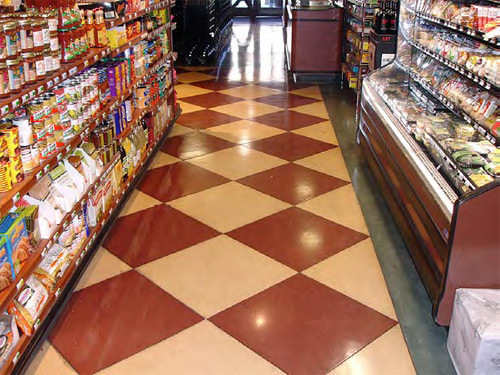 Today, Bay Area Concretes is the world's oldest existing contractor to have sold and installed Bomanite products. "I remember seeing (Brad) Bowman, the inventor of stamped concrete, in my backyard when I was a kid," Price says. "We were one of the first contractors to sign up for it. 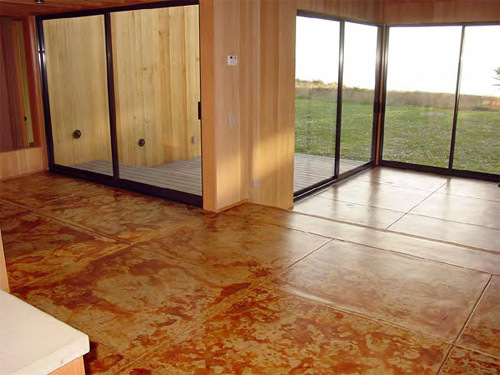 Now, everyone is selling stamped concrete." In the '70s and '80s, the company moved into specialty decorative concrete, working as a subcontractor on projects anchored by other contractors - something that Price says helped spread the word about the company. Price, who holds a financial management degree from Cal Poly State University, began working for his father and uncle in 1983 during his summers off and became a full-time employee in 1990. By the end of that decade, the company had expanded into a full-service commercial and residential site contractor, a decision that Price says was made in order for the company to survive. Bay Area Concretes currently offers full-service concrete site-work packages, from project conception to installation. The company manufactures its own product lines, Aggretex and PolishedCrete, and it distributes and installs an array of materials by Bomanite, Bomacron, Innotech and Colormaker. It also provides restoration, consultation and concrete construction management services. Serving a client ratio of 60 percent commercial to 40 percent residential, the company's business is comprised of 30 percent plain, gray concrete installation (such as gutters and sidewalks), 40 percent high-end, architectural concrete jobs (which includes patios, countertops, tiles, furniture and floors) and 30 percent artistic interior work (including stained overlays, concrete polishing and detailed interior walls). And the sky's the limit on client types - Bay Area Concretes has beautified federal buildings, public spaces, schools, hospitals, schools, stores and restaurants, just to name a few. "We do everything you can imagine in concrete," Price says. "But our specialty is decorative concrete toppings, which can be found in our indoor residential work." 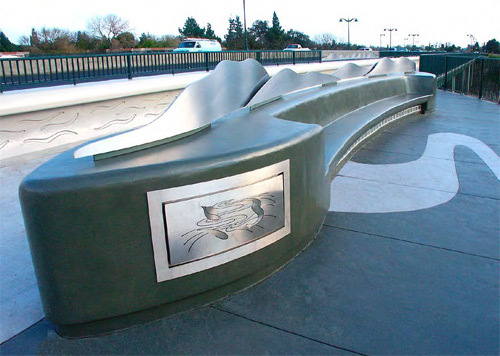 Many of these toppings are born out of Aggretex, Bay Area Concrete's patented installation system of exotic and recycled glass aggregates, which are blended into the wet matrixes of full-thickness concrete slabs for a natural-looking, durable result. Price says architects are especially impressed by the original looks produced by the system. Some materials the company incorporates into concrete surfaces can be surprising, he adds. "We're not trying to simulate anything," Price says. "Some stamped concrete looks fake, and that may look good in an amusement park, but not at a university. We've done stuff as crazy as using recycled circuit boards, which would have otherwise been in a landfill - something like that could fit into a Discovery Store or a Sony store." What's in demand right now among Bay Area Concretes clients? Price says the Aggretex system is especially popular, since it helps clients achieve a traditional look that's currently topping the list of decorative concrete trends. "What's hot and new right now is old school finishes, like exposed aggregates," Price says. Jonathan Vasquez, 43, Price's business partner, adds that multidimensional, colored glass aggregates are also in demand right now, as is a look of simplicity. "A refined, clean look seems to be working these days for interiors," Vasquez says. The flagship project in the company's history, according to Price, was the renovation of a 17,000-square-foot plaza at San Francisco's Fillmore Center, for which the company received a first-place award for special finishes in ASCC's 2010 Decorative Concrete Council Awards program, plus a first-place Concrete Pavement Award for commercial decorative flatwork in 2008 from Concrete Products magazine. 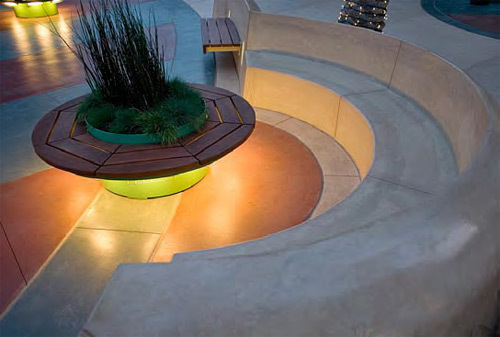 Working with Terry Lofrano of San Francisco-based Axis Architecture + Design, Bay Area Concretes paved the plaza's grounds and added 12-foot-high walls, a fountain and seating around the plaza's radius, among other features. To add depth and color throughout the plaza, workers poured gray concrete and immediately placed recycled glass aggregates in blue, red, green and clear, plus a green Malaysian rock blend and other exotic rocks, into the mixture. "It was our coolest, most aggressive flatwork," Price says. "It was our most difficult project, and also our prettiest." While Price says the company felt a slight downturn in 2009, its high-end focus and established name among architects have helped keep the company's business strong. "2007 and 2008 were good years because we had developed relationships with architects," Price says. "Our work is very high-end, and that high-end niche work is always there." As Bay Area is involved with projects from beginning to end, its employees work with a number of construction industry professionals, including architects, general contractors and interior designers. Varying levels of knowledge often result in communication challenges, but Price says his company's job is to take the creative ideas of others, break down the technicalities of the project, and eventually turn it into stellar decorative concrete work. "We had one interior designer who wanted a maple leaf design in a concrete floor, and we did it," Price says. "We try to let designers and architects have as much expression as we can. They come to us to see what we can do, and we rarely say we can't do it." Price, Vasquez and their staff have established Bay Area Concretes as a force in the decorative concrete industry, but they aren't done yet. Price hopes to double the company's size in five years and be a step ahead of the competition in decorative concrete innovations. Two projects at the top of his list are to help develop technologies for illuminated concrete - think white sidewalks that can glow in the dark at night - and to continue working in a manner that's friendly to the environment. Vasquez adds that maintaining the highest quality of work, even on basic jobs, is key to the company's continued success. "We want to always be highly regarded from a quality standpoint," Vasquez says. "We'll take that and put it into our everyday concrete work scope, and make sure that even our simple work is completed with a high level of expertise."